Course Descriptions - Adrienne Stone, P.T. Please join us for this unique approach to low impact movement. Feel yourself move from the inside out… move all your joints and “hinges”, free your natural breathing, create more space for yourself and stand taller! 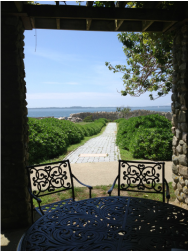 Find ease in a supportive, nurturing, peaceful and playful environment. Set to music, these unhurried movements are simple, practical and profound. Most of all, we have fun! Please call prior to coming to your first class! 914 232-5955. Please call before coming to your first class or with any questions! 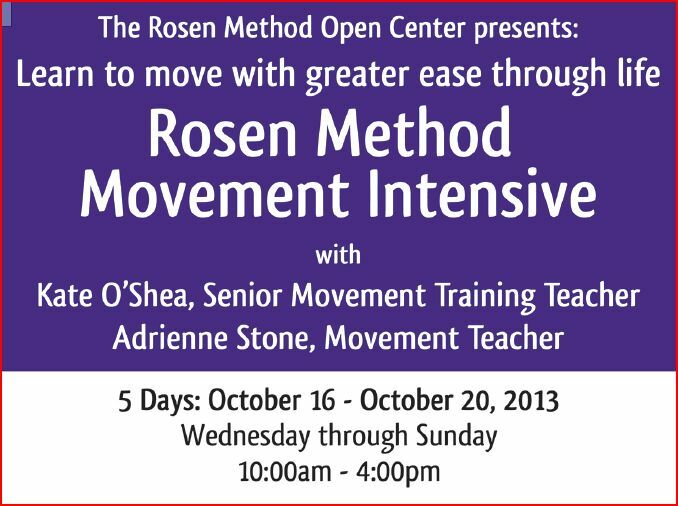 We are very excited to be teaching together and want to spread our love for Rosen Movement! See the flyer below for more details. Come join us and please forward to anyone who might be interested. Adrienne Stone, PT, Teacher/Tutor, has been working in NYC for quite a few years and has found a great space for us to have a SUPERVISED PRACTICE DAY ! …..Playing with receiving and giving slack in the neck, body. There is time to explore your concerns whether they be in regards to table work, Mentastics, or otherwise. A time to share and exchange. A wonderful opportunity to receive and to give with peers! Location: Just below Union Square. Address given at registration. Cost: $85 before Aug. 1st for the day! What to bring: Bring sheets, food to share for our lunch. We will provide paper plates, water, etc. if you can bring a table, let us know.